28th Sep 2018 - Next week is October! While our number one variety Gala is picked (or should be) and in store, October will see a number of later maturing varieties ready for harvest. Picking Rubens is now under way, and Cameo is underway on early sites with all Cameo ready for harvest by the end of next week. 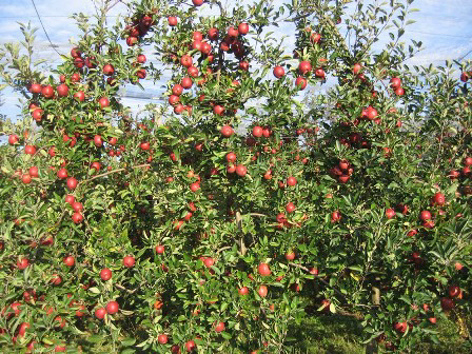 Braeburn harvesting for long term storage should begin when the starch has fallen to 70%. Starch declines around 1.5% per day on Braeburn, so on the earliest site, harvesting should be underway in about one week's time (4th October). The majority of sites however will not be at 70% until the week commencing 8th October. Harvesting should be finished by the time the starch has declined to 50%. Smitten has already been picked and Daliclass is being picked. 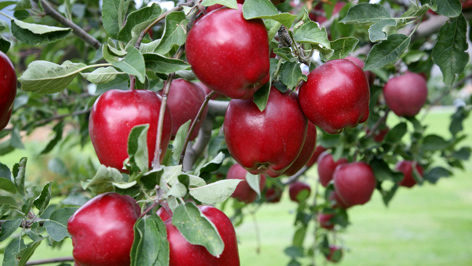 Picking is underway on Crimson Crisp and Amelia will start next week and possibly some 'home grow' Granny Smith and Red Delicious. 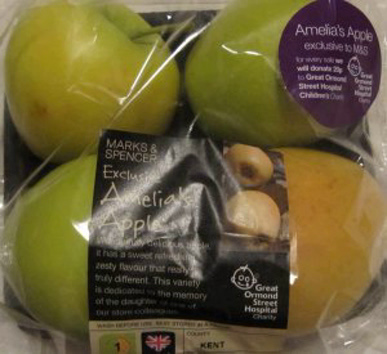 The variety 'Amelia' was named after a young Ilkeston girl, Amelia Bassett who died of kidney cancer in May 2008 and was launched by Marks & Spencer in November 2008, albeit in limited stores until production increases. Ilkeston M&S and other stores in the region were the first to stock Amelia's Apple! Amelia's Apple is helping to raise funds for Great Ormond Street Hospital Children's Charity. Marks & Spencer will donate ten per cent from every pack sold to the charity, to help fund the hospital's kidney transplant centre. Amelia's father Roy, who manages Marks and Spencer's store in Ilkeston, was the unanimous winner of a competition to name the apple. He said: "I originally wanted the name to be Amelia Sunshine but the European Commission said there was a problem with the name, so it was called Amelia's Apple." Amelia's Apple is on sale in 25 stores, including Ilkeston and is labelled with a sticker of the Great Ormond Street Hospital logo. Grown in Kent, the new variety is said to have a distinct yellow colour with a zingy flavour and a lemon fizz. M&S apple expert Phillip Symons said: "We are thrilled to be launching Amelia's Apple and helping to raise vital funds for Great Ormond Street Hospital. 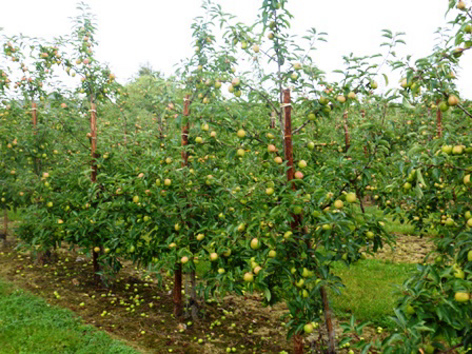 "Our customers can enjoy a delicious new British-grown apple whilst supporting such an important cause." 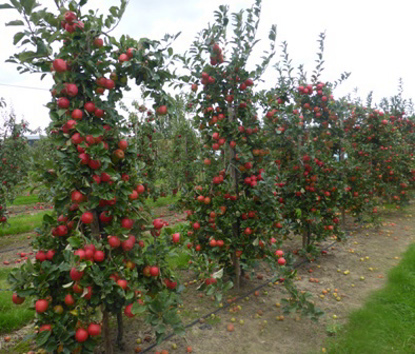 Picking Jazz will start next week and Rockit the very nutritious small apple as well. To learn more about this very nutritious apple click on: Rockit Rockit apples, are not like ordinary big apples - they have 65% more potassium, 19% more energy and 10% more fibre than the average apple. 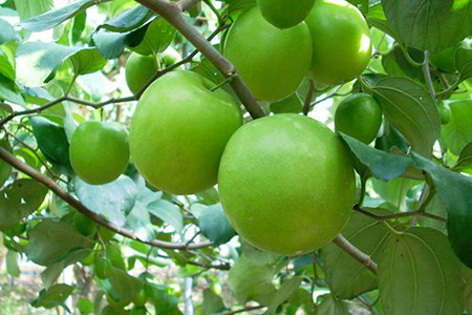 Two varieties not traditionally grown commercially in England are Granny Smith and Red Delicious. The EAM remembers a few growers 'dabbled' with Granny Smith 30-40 years ago and although they 'looked the part' the eating experience did not match fruit from warmer climates. 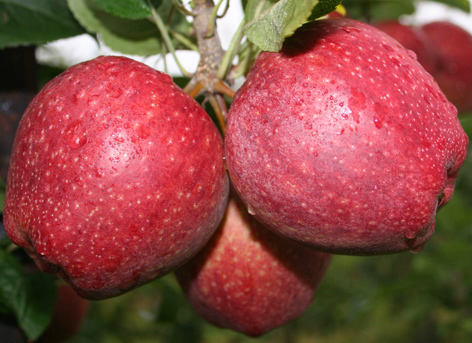 However, a quarter of a century ago we did not think Braeburn could be grown successfully here, but with global warming and improved clones (sports) Braeburn is our second most prolific variety after Gala. So Granny Smith and Red Delicious may become varieties more readily available sporting the Union Jack label! 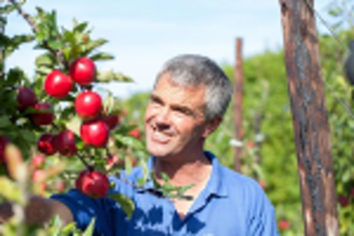 As we get closer to the 'cliff edge' of Brexit, UK fruit growers are sitting on a 'knife edge' with shortage of harvest workers impacting on this season's fruit picking. The Migration Advisory Committee recently issued a missive that 2,500 harvest workers could be licensed to come from outside the EU. The Migration Advisory Committee (MAC) is an independent, non-statutory, non-time limited, non-departmental public body that advises the government on migration issues. MAC is an advisory non-departmental public body, sponsored by the Home Office. Ali Capper, Executive Chair of English Apples & Pears (EAP) says: "Upon first reflection of the Migration Advisory Committee (MAC) report we are delighted to see that the need for a competent and reliable workforce has been recognised. "However, we are surprised that the MAC mistakenly considers the British Apple and Pear industry to be a low-productivity and low-wage industry. Wage inflation has been 12% year-on-year in horticulture and the sector has already demonstrated the clear ability to pay competitive salaries for labour throughout the production process, with our growers paying average wages of £10 to £12 an hour. This is significantly above the national living wage. 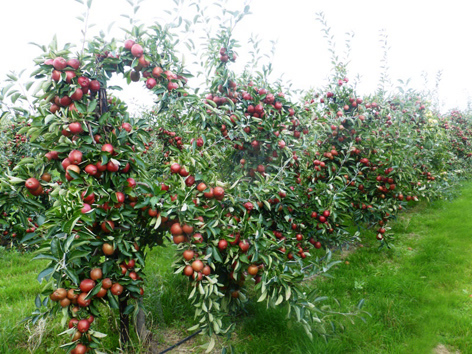 "Significant investment into modern orchard systems and equipment has meant that, in the last decade alone, we have successfully increased the market-share of British apples from 26% to 42%. We cannot ignore these numbers, nor should we overlook the industry's potential to grow further. "We already know that labour is in short supply. 41% of our growers have seen fewer applications for seasonal picking work this year, and 61% believe 2019 will be even worse. We need more than 11,500 seasonal workers by 2021 to keep pace with a crop that is set to grow, and these individuals must have a mix of skills and experience to ensure that we can continue to produce more great British apples and pears. "The recent Government announcement of a pilot Seasonal Agricultural Workers Scheme is a promising response and a step in the right direction, but we need the Government to consider a larger scale solution. 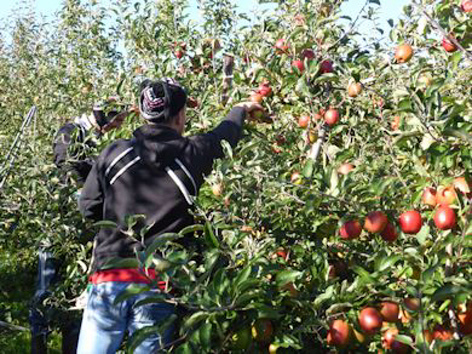 Without the right number of seasonal workers, our 'best in class' British apples and pears could be left to rot on the trees." 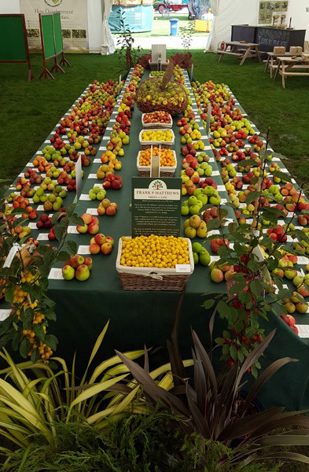 Next week The English Apple Man will be attending the official launch by English Apples & Pears of the new season and will report the event on next week's Journal!